Friday, in a surprise move, Seaworld San Diego made an announcement that somehow slipped under our radar. Coming in 2020, they will build a new addition to their coaster collection- B&M Floorless Dive Coaster going by the name of 'Mako'. Stats look to be a lift hill of 153 feet with a following vertical drop of 143. This would then make it the tallest dive-coaster in Southern California. 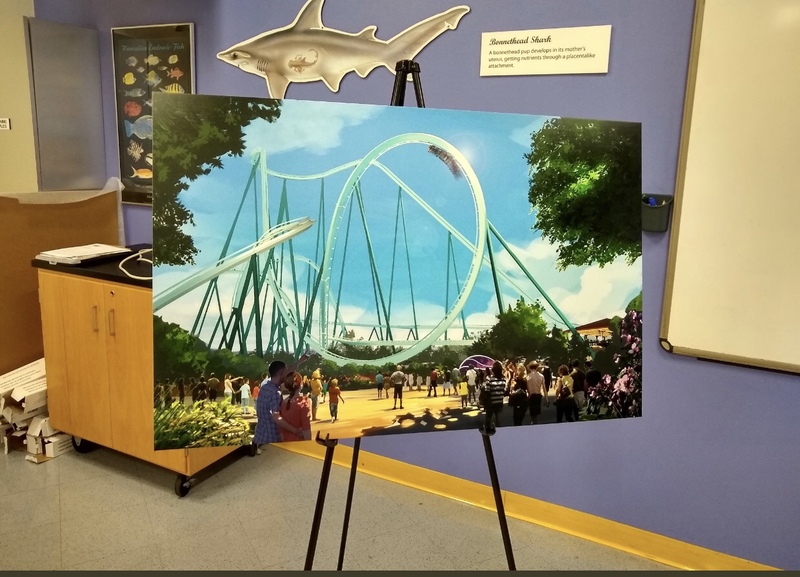 While it may share the same name with the Seaworld Orlando coaster, nothing else is similar in the design of California's Mako Coaster. Although they are taking a leaf from the Orlando book on several levels. Much like Orlando, the new coaster will come with the current Shark Encounter getting a heavy refurbishment to match up to the shiny new coaster going place.